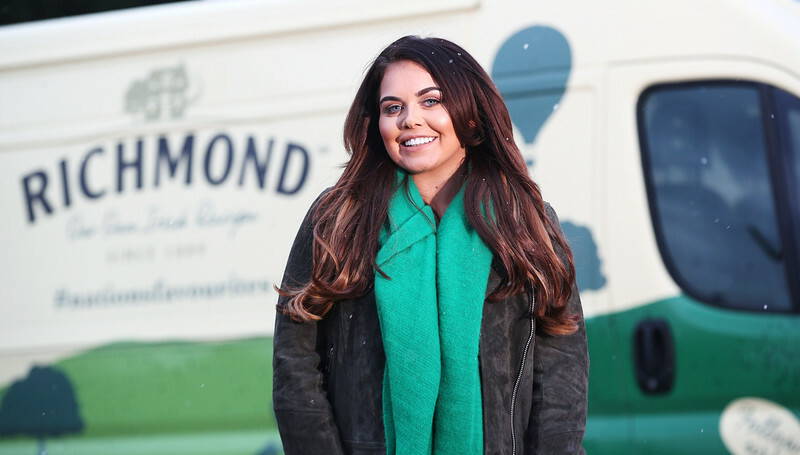 Richmond has teamed up with television star, Scarlett Moffatt, to celebrate the nation’s favourite workforces – starting with a surprise for the nurses of East Coast Community Healthcare in Norwich. With a national poll by Richmond, the nation’s favourite sausage*, revealing nurses to be the nation’s favourite workforce - claiming nearly a third (31%) of all votes after being hailed the friendliest (19%), most selfless (52%), and one of the most underappreciated (68%) workforces in the UK – Scarlett Moffatt paid a visit to deliver the personalised thank you. Scarlett teamed up with Richmond, and the nurses’ friends and colleagues, to whisk them away for a night packed full of surprises including a marching band, delicious dinner and a Take That tribute act. One of the nurses Scarlett turned up to surprise was 77 year old Maureen Underdown, from Lowestoft, who has been a carer and a nurse for more than five decades. The ‘Nation’s Favourites’ will see Richmond travel up and down the country with the help of a celebrity squad, to recognise the workforces voted by the nation. Richmond has teamed up with television star, Scarlett Moffatt, to celebrate the nation’s favourite workforce.